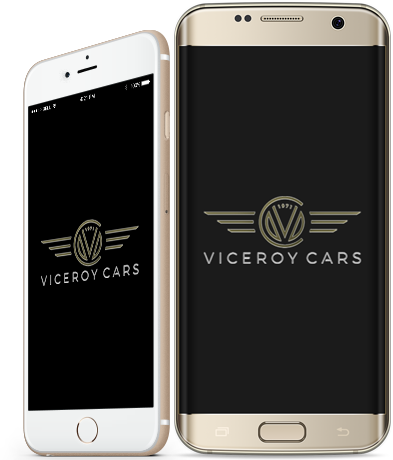 With the Viceroy Cars app for your iPhone or Android device, you are able to book a private hire taxi in as little as five seconds. We offer you a stress-free, convenient way to book and track cars on the go, whether you’re at home, in a business meeting or at the train station. Enter your phone number below, and we will send you our App link. If you’re a business customer and want access to a professional, reliable and affordable private hire service, consider opening a corporate account today. You’ll be able to take advantage of a business tab, priority booking and our executive fleet of cars. Viceroy Cars always delivers a warm, friendly service. I’ve been relying on their services for more than five years, and I’ve never been let down! Whether it’s a trip into town, transfer to the airport or a courier service, I rely on Viceroy for all of my private hire needs. Thank you! I’ve yet to find a company that’s more professional, more personable, and more punctual than Viceroy Cars. I cannot recommend their services enough.